The web is a great and ever-changing source of information, but there are times when it’s easier to digest information minus ever-present distraction. And sometimes, there’s just no wifi. 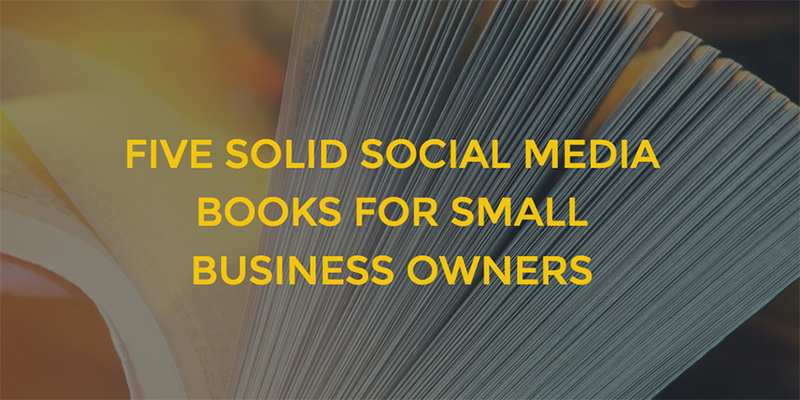 Inspired by #nationalbookloversday here are five books that belong on the shelf (or e-reader) of any small business owner looking to take social media seriously. Rather than throwing everything you have against the social media wall to see what sticks, start by understanding the story that you want to tell. Ideally, a story that resonates with your desired customer’s world view, and one that registers as authentic. Of course “authenticity” is a more nuanced principle than simply being “truthful”, as evidenced by the effort put into products sold as being authentically artisanal, even if some consumers would never notice the difference in a blind taste test. There is a danger in constructing a polished brand narrative that simply isn’t reflected in your product, as this article on VW’s emissions scandal points out. 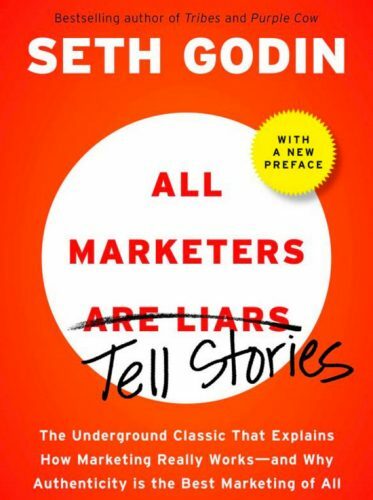 But Godin’s book is a good place to start when seeking to understand the story your business needs to tell. Social media has moved on since the original publishing date, almost a decade ago. But Godin has a lot of good points about storytelling. To get a taste of his style, check out this Google Talk. A ubiquitous social media conference keynote speaker, one time wine-blogger Gary Vaynerchuk has built his own social media empire, to the point of launching his own social media agency, VaynerMedia. If you want to dive a little deeper than a keynote speech (or aren’t in the business of attending a lot of conferences), this book is a good place to get a respected take on things like quality content, micro content, the difference between various social platforms, and of course, storytelling. As with Seth Godin, there’s no shortage of online content that will give you much of the author’s perspective in talks, podcasts and interviews. But if you’re the kind of person who absorbs information best when reading, or if you’re just looking for something to add to your Kindle for your next business flight, this is a good primer in punching above your social media weight. Another ubiquitous conference speaker, Jay Baer is all about your ability to be useful to your potential customer. If you’re familiar with the age-old marketing concept of positioning, Baer will help shift it into the social media age for you. There are, of course, many ways to provide relevance and value for customers. But social media is one area where the concept really can exist without the rush to make an instant conversion to a sale. 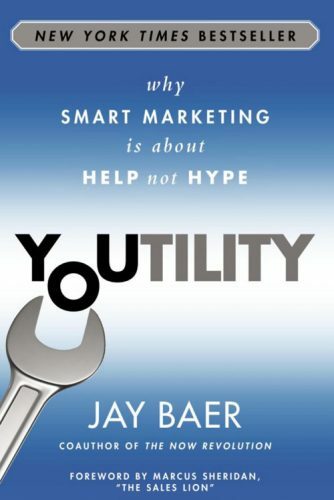 If you consider yourself a marketer who cares about the community they operate in, Baer may be able to help you find fresh perspectives on how you can translate the concept of caring into the action of offering “youtility”, as he dubs it. Some readers find his writing a little repetitive. But if multiple examples of a concept help you see how it might work for your business, Baer’s a good place to start. Get a taste for his style (and taste is suits) via this keynote video. 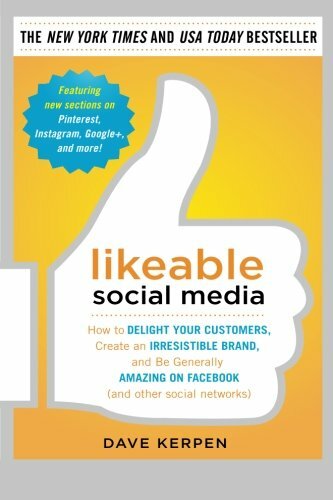 Being “liked” is one of the basic units of social media currency, and being “likeable” is a goal that can seem as elusive as it is seemingly-simple. Kerpen offers a hands-on guide to being a likeable small business. 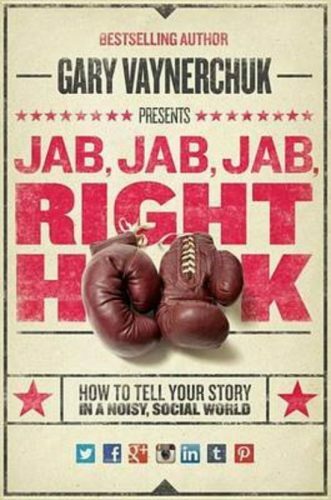 This book is both a good introduction for the social media novice, and one that offers actionable examples. Much like Jay Baer, Kerpen is looking to help you modulate your voice online, so you’re engaging with your customers, not shouting at them. To get the most from his writing, you’re going to have to be willing to try some of his suggested strategies. But even the cautious small business owner is going to learn some important principles from this – ahem – likeable read. To see Dave explain why it pays to be likeable, check out this talk from Dave. As a writer at Small Business Trends, Matt feels your small business pain. If you’re still fretting about how to approach social media and you’re confused as to whether content marketing sits in the social mix, his book is an easy-to-understand primer on the content end of things. 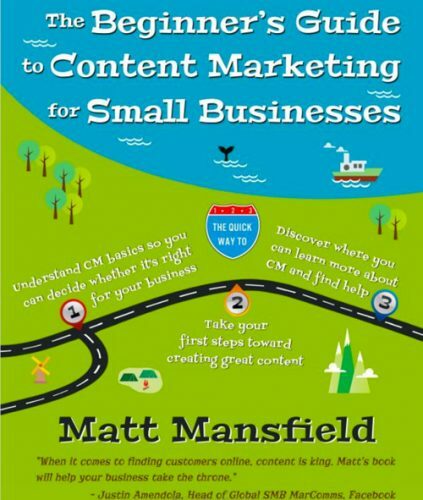 There’s more to social media than writing pithy Twitter posts, and while there’s no shortage of online primers to creating and marketing content, this book is written specifically for the small business owner (and what Mansfield calls the “solopreneur”). Sometimes a book is the best way to get from start to finish on a subject without going off on too many web tangents. If you’re fretting about your competitors having a better grasp of content than you do, this is an easily-digested starting point. Looking to give your small business some serious social media muscle? Give Kiosk a call.